Here is an alternative design for a wine rack. 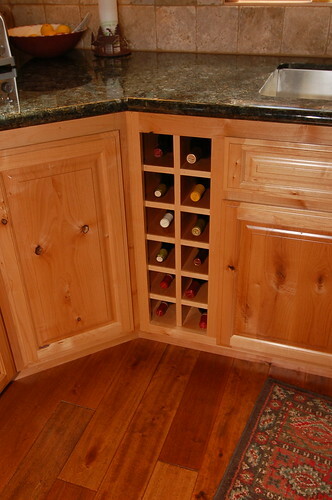 In this example, square cubbies hold wine bottles securely in a 12″ deep cabinet. These cabinets are made of knotty alder with a clear satin finish. 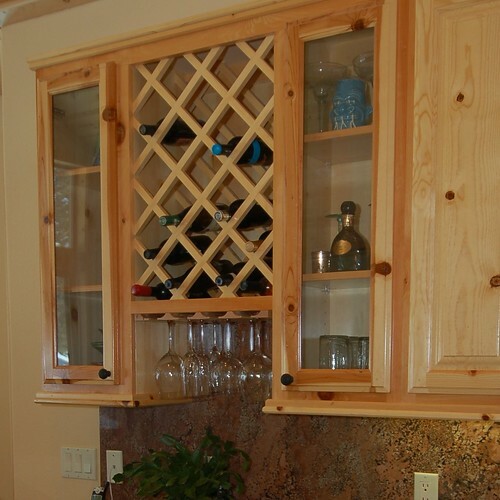 This style of wine storage can be configured to fit almost anywhere as shown below. 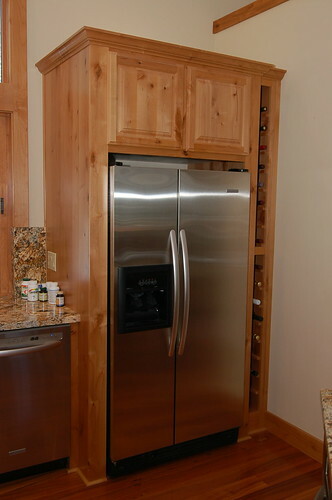 Here we used wine cubbies to make use of otherwise wasted space adjacent to a refrigerator.